Did you forget or lose admin Windows password for UEFI based Acer PC? 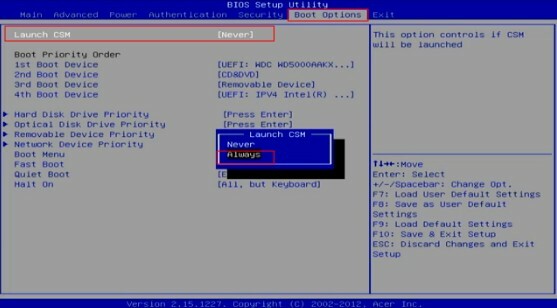 Did you know how to get into and boot UEFI-based computer? Did you want to bypass Windows password on Acer with UEFI-based mode? 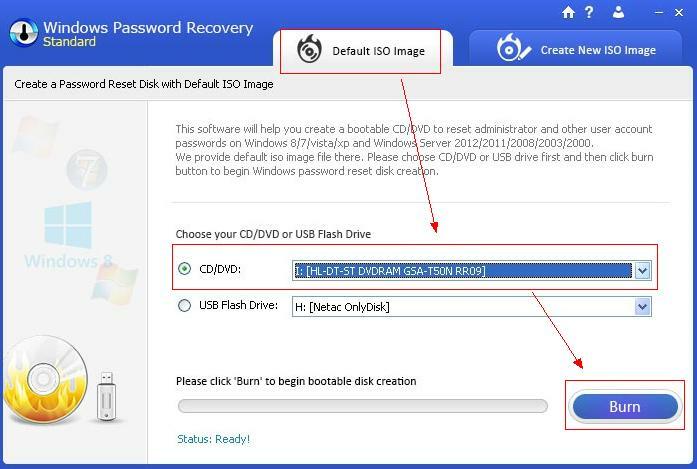 If you are nodding in front of computer, keep on reading to know how to recover Windows 10/8.1/8/7 password for UEFI-based Acer aspire 1/S7/V3/V5/V13/15 and so on following the steps below. Before that, you have to download and install Windows Password Recovery first as that is one of the most trustworthy password recovery software so far. 1. Run the program and select Default ISO Image on the tap. Insert blank USB to bootable computer and click Burn. Please note: CD/DVD also can be allowed to burn. 2. 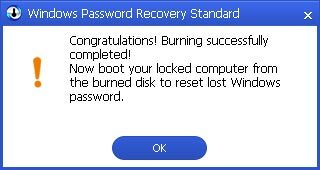 After burning is finished successfully, click OK to finish the process. 2. Immediately press F2 or Delete to enter BIOS setup. Tap the right arrow key to move to Authentication tab. 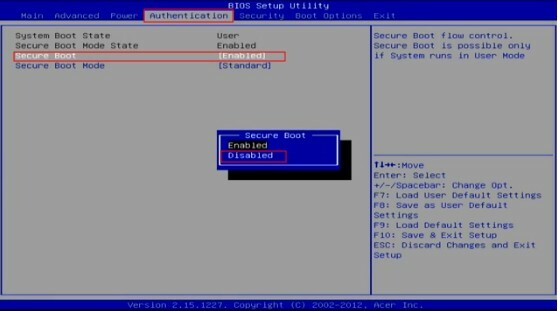 When Secure Boot is highlighted, press Enter and move down and choose Disable and press Enter again. 3. 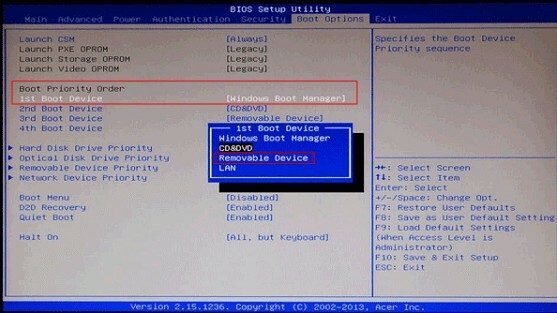 If you cannot find the UEFI mode in BIOS, try to move to Boot Options tab and disable it. Highlight Launch CSM, press Enter and down arrow to select Always. 4. In Boot Priority Order, change the 1st boot device to Removable Device (USB Drive) and press Enter. Finally, press F10 to save changes and get out of BIOS setup. 1. Now once the main interface is launched, user names of your accounts are displayed one by one. Pull down Select Windows Installation for the source installation where your password was set. 2. 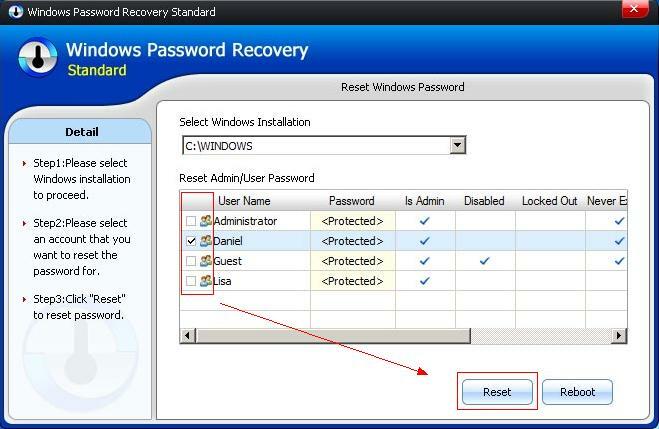 Select the user account whose password you want to recover and click Reset. Once you reset password for your UEFI-Based Acer, click OK to close pop-up window and then tap Reboot to restart your PC. Then you can login without any password. Even though you needn’t worry about how to reset password for your UEFI-Based Acer computer any more since you own Windows Password Recovery, you’d better remember it to avoid unnecessary troubles. If you have any questions, you are welcome to leave it under the comment section. To learn more about how to find lost password, you can search Windows password recovery on Google.